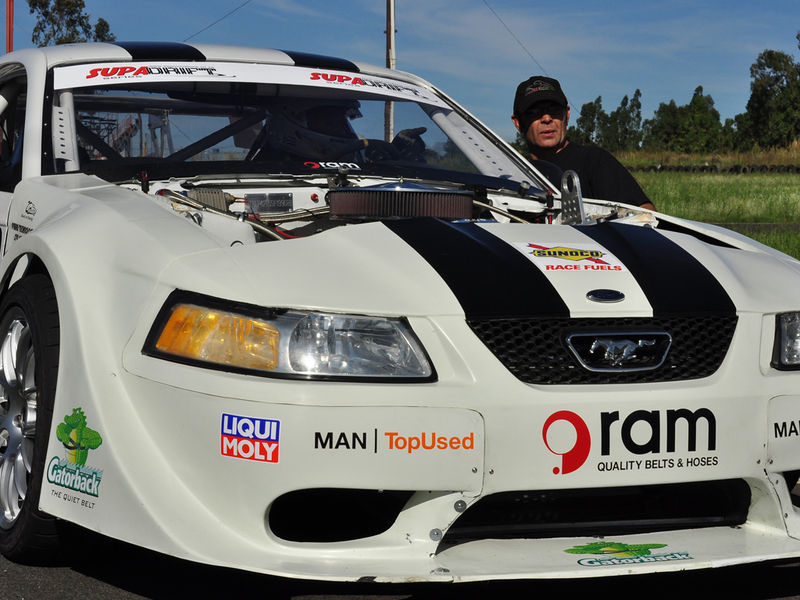 Jabu recently got invited to go around Zwartkops in a drifting car by Clare Vale. While there Jabu had a chance to have a chat with the first lady of South African racing. Clare has had a meteoric rise to fame and has been silencing critics with each performance and be it in V8, SupaDrift or in the 917 ISP class, Clare is sure to bring down hordes of support and take racing to the masses. 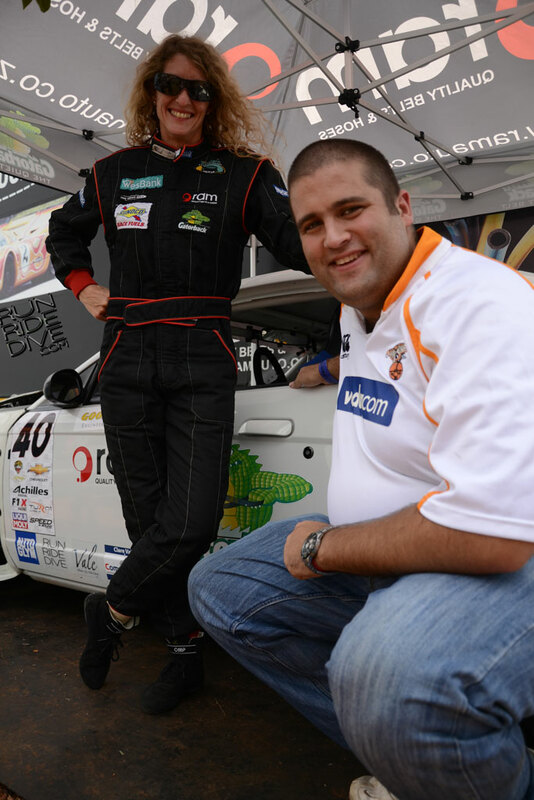 Clare was also recently nominated for an award at the 2011 Bridgestone / SA Guild of Motoring Journalists Motor Sportsman of the Year Awards. Here is what she had to say. All Things Jabu (ATJ): Hi Clare, thanks for chance to chat! Clare Vale (CV): Thanks for the opportunity! ATJ: Firstly, how was 2011 for you and the team? CV: This year was a bit of a rollercoaster, as we decided not to race the WesBank V8 Series – we really were not happy there last year and were not enjoying the racing anymore. Our planned Drift Car build also took much longer than expected, so we spent the year racing the Porsche 917 in the International Sports Prototype class and did the last two WesBank Super Series events at Zwartkops. ATJ: What brought around your move away from the V8’s in 2011? CV: We made a decision at the end of 2010 to build a new car for Drifting and had a proposal on the table to race a BMW in Production Cars in 2011. The V8 class lost its tyre sponsorship from Goodyear at the end of 2010 and coupled with the increased costs of competing and the level of politics that had developed in the class led us to the decision to move on. Unfortunately, the BMW proposal fell through at the eleventh hour so we were left without a confirmed plan just before the first race. ATJ: We are here this week to see you take on your first drifting race, is it your new passion to get more involved with drifting? Do you think drifting can grow to be a massive part of SA’s racing calendar? CV: We believe that Drifting is going to become one of the top motorsport categories in SA. It’s hugely popular with spectators and is more than just motorsport, its entertainment (ATJ – I can completely vouch for that statement)! Already, Supadrift events pull more spectators than the WesBank Super Series, and the TV viewership figures are also ahead of the main circuit racing series. ATJ: What is the biggest difference between drifting and standard circuit racing from a driver’s point of view? CV: It’s very different! In circuit racing, going sideways is slow so it’s the last thing you want to do. Drifting is judged on four elements namely; angle, accuracy, speed and showmanship. The better the angle you can find, the higher the points. It’s a big challenge, attacking a corner at speeds of 140kph plus and having to initiate a drift at just the right point. Once you qualify in the Top 16, two cars compete in tandem drifts which just add to the challenge! ATJ: You are consistently breaking records as the first lady to do things in racing, but have you encountered in difficulty because of being a lady? CV: There are one or two drivers who have a problem, but the vast majority are incredibly supportive and encouraging. One of the great things about motorsport is that we race against each other on equal terms, rather than in separate classes. Although you need to be fit to race competitively, a lot of racing is in the mind, as opposed to coming down to physical strength. ATJ: What would you message be to young ladies hoping to make their way in the racing world? CV: Go for it! There are many different categories to suit different budgets, and most clubs and associations are only too willing to help newcomers to their classes. Go to some open track days, join one of the car clubs, or browse the Motorsport South Africa website for more info: www.motorsport.co.za. ATJ: You are also the chairperson of the Women in Road Safety Forum. What does this role entail? CV: The Forum is affiliated to The Road Safety Foundation, and our aim is to mobilise women to stand up for road safety and make their voices heard. Women are greatly affected by road safety issues: not only do road accidents account for more accidental deaths among women than any other cause, but women are also affected by the death of or injury to their family members. For example, many women are left destitute when a breadwinner is killed or badly injured. 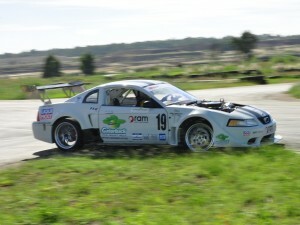 CV: One highlight has to be my third place finish in the WesBank V8 Supercars class at East London in 2010! (ATJ – Clare became the first woman in history to stand on the V8 podium!). In all honesty, it’s really a privilege to have the opportunity to drive and race awesome cars like the Mustang and the Porsche 917, so every race is still a highlight for me! ATJ: And what would you ultimately like to achieve before you hang up the gloves and helmet one day? 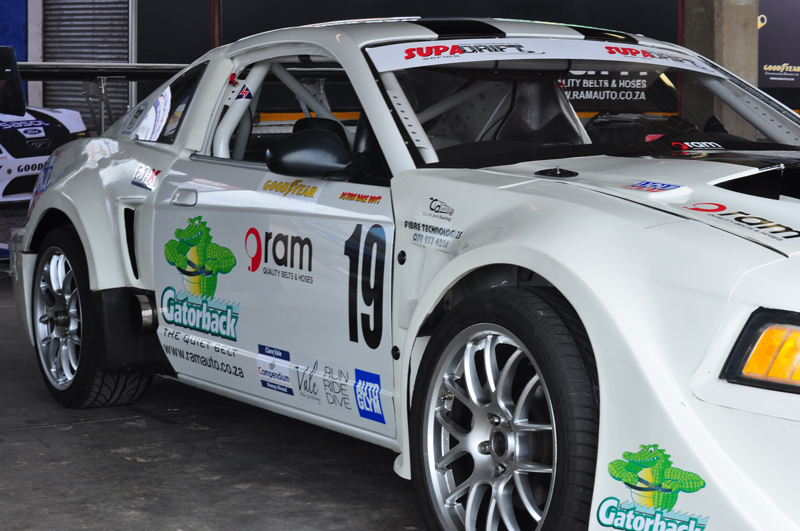 CV: Right now, my aim is to become one of the top drifting drivers in SA. Unfortunately, I started racing a bit late to have great aspirations of racing overseas, but it would be a dream come true to race at an event such as Le Mans. ATJ: As All Things Jabu is a site dedicated to all things sport, what other sports do you follow? CV: I love the local soccer, some rugby, F1 (of course!) and I used to ride horses competitively. ATJ: Which teams does Lady Fast put her backing behind? CV: In local soccer it’s Kaizer Chiefs all the way – love and peace (ATJ – there is an Amakhosi sticker on the back of Clare’s mustang!)! Man City gets my attention in UK soccer, and for rugby I’m a Stormers / Province supporter. I’m also a Renault supporter in F1. 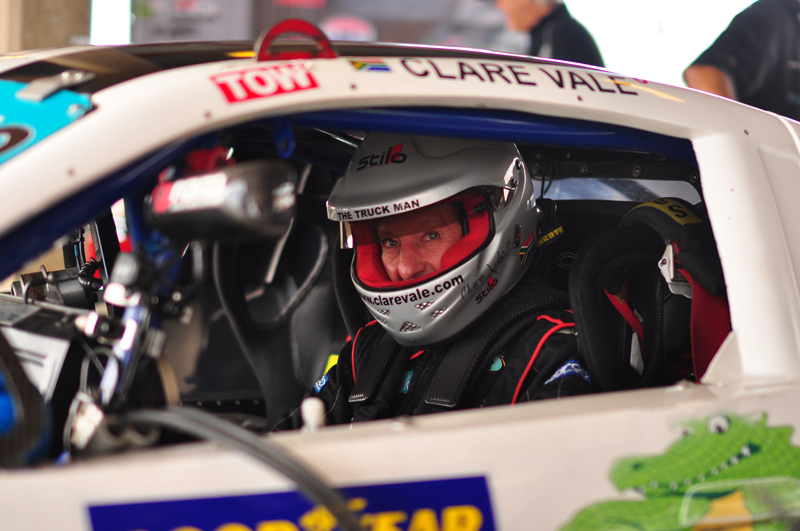 ATJ: If Clare Vale was not a race driver, what would she be doing? CV: Catching up on all the work I should be doing when I’m racing! I would probably get more involved in motorsport development initiatives, an area in which we need to do a lot more in SA. ATJ: 2011 was an amazing year for you with podium finishes a common theme in the Historics tour, how far away are you from a win? CV: Hopefully, very close! We’ve done a lot of work on the 917 to eliminate some of the turbo lag. We will put a lot of focus into drifting this year, but feel we are not far away from the top step with the 917. ATJ: Where can readers learn more about you or keep up to date on your comings and goings? CV: We have a website – www.clarevale.com – which is absolutely fantastic. You can also follow us on twitter.